Decks manufactured in USA and published by E.E. Fairchild Co., Rochester, N.Y. were imported into Argentina by Julio Laje (Buenos Aires) during the 1930s and 1940s. 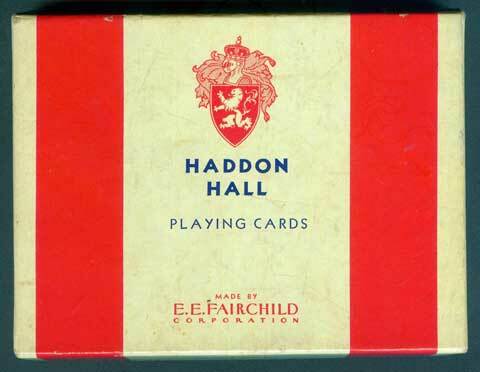 Above: twin set of 'Haddon Hall' playing cards manufactured by E.E. Fairchild Corporation (USA) and imported into Argentina by Julio Laje, Buenos Aires, c.1930s. The green 50 Centavos tax bands wrapped around the decks, which along with the orange/brown 'Mercury' tax stamp on the Ace of Hearts were used between 1924-1943, show the importer's details overprinted in the panel at the end. The selling price is also overstamped on the tax band (detail shown below). The importer's details and tax stamp are also overprinted on the Aces of Hearts. Right: the box containing the twin decks shown above. A similer box housed the decks shown below. 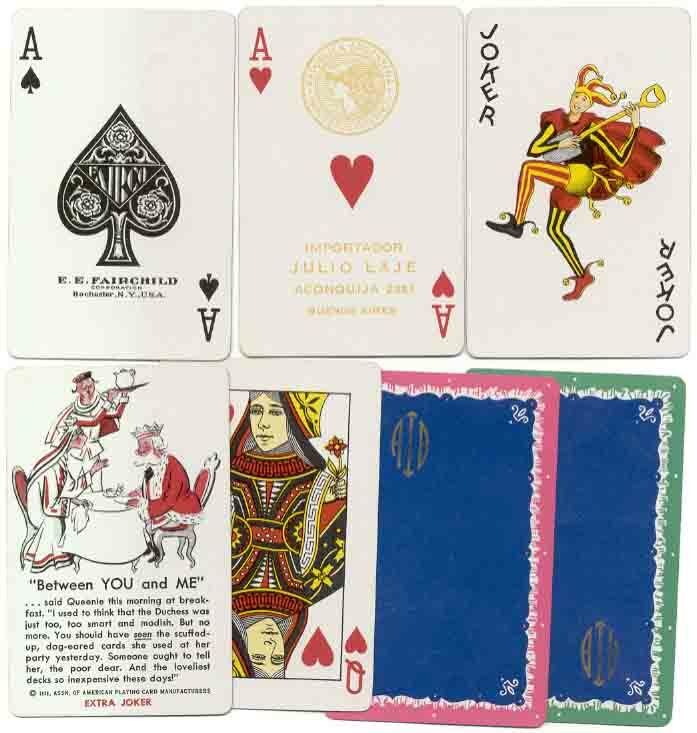 Below: another set similar to the twin decks shown above, showing the Joker and Ace of Spades, with the same tax stamp and importing agent's details overprinted on the Ace of Hearts. Interestingly, the design of the Joker was the inspiration for Jokers made in Uruguay by Compañía General de Fósforos Montevideana and their successors Ingrapa. E.E. 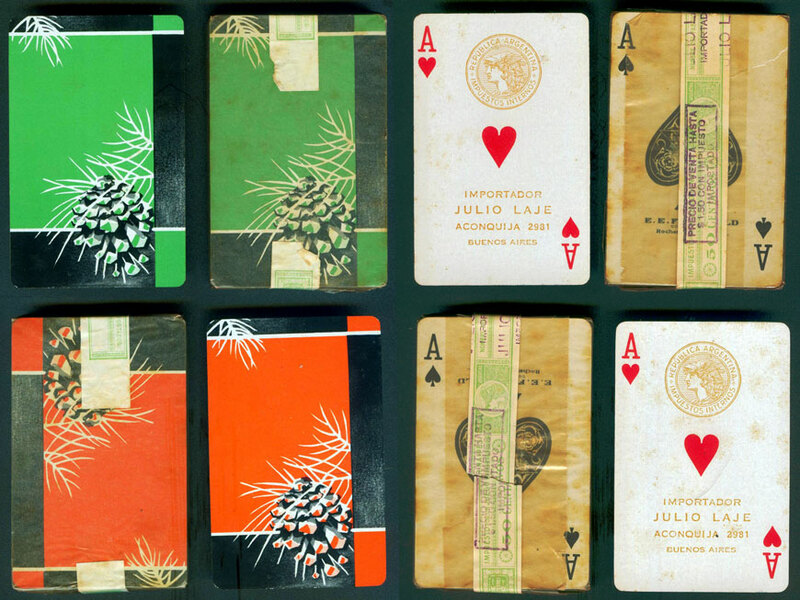 Fairchild Co. published many varieties of Bridge sized cards and advertising decks during the 1930s & 1940s.